Worldwide, PwC did a survey in 2014 that suggests ETF assets under management could hit $5 trillion by 2020, just five years from now. Something has to give as there’s only so much wealth to go around. Clearly, CRM2 implementation in July 2016 will lay bare the underbelly of the mutual fund industry, which for too long has dined at the expense of Canadian consumers. While it’s possible that mutual fund companies will take evasive action to avoid a blood bath of AUM attrition, Australia’s experience indicates that’s not likely to happen; at least not to the degree that is necessary to stem the tide. If you don’t believe ETFs are the real deal, you need look no farther than Raymond James’ recent announcement that it was acquiring Cougar Global Investments, a Toronto-based company that provides ETF portfolios to high net-worth investors. 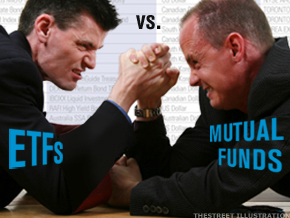 No longer can advisors live by mutual funds alone. As Malcolm Gladwell would say, we’re at a tipping point.